We have never had a course like this before and I know you are going to love it! 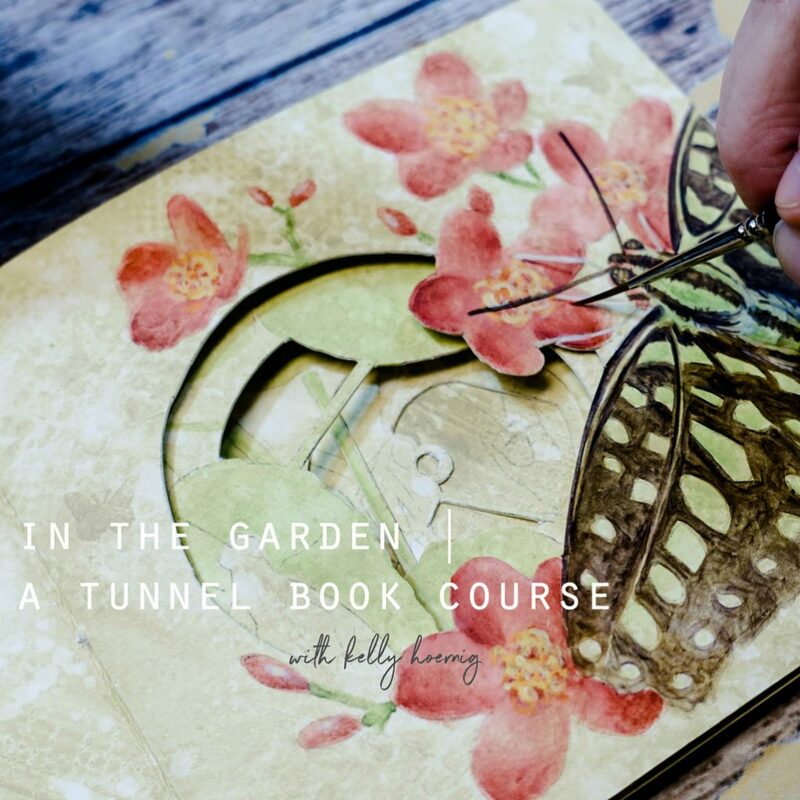 In The Garden | A Tunnel Book Course with Kelly Hoernig is stunning and I can’t wait for you to read all about it! 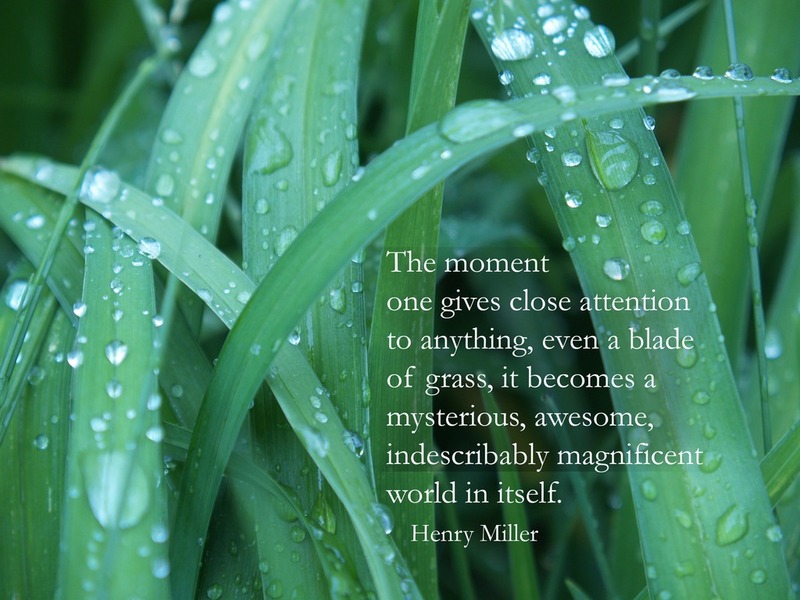 This course takes you on a journey of wondrous discoveries. 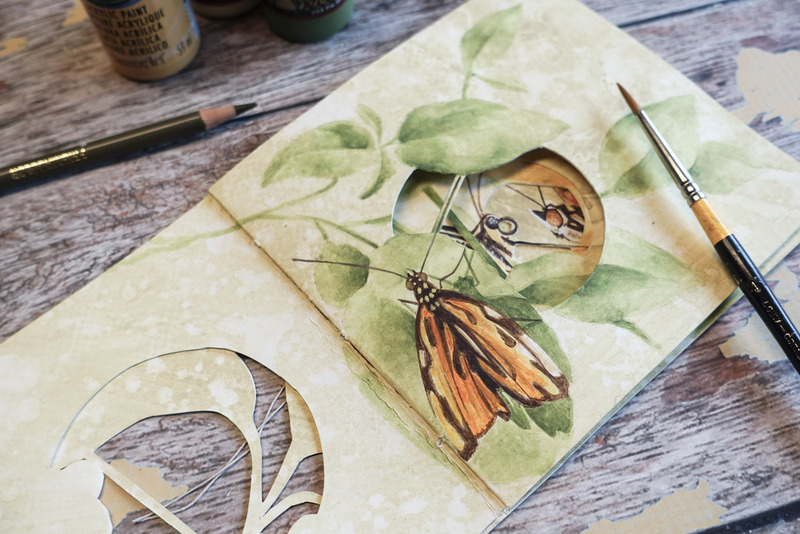 Every single layer we add – texture, color, and detail – leads your artistic eye into another realm of hidden treasure and unchartered territories for your creative muse. This tunnel book creates mystery, delight and a sense of wonder for all ages. 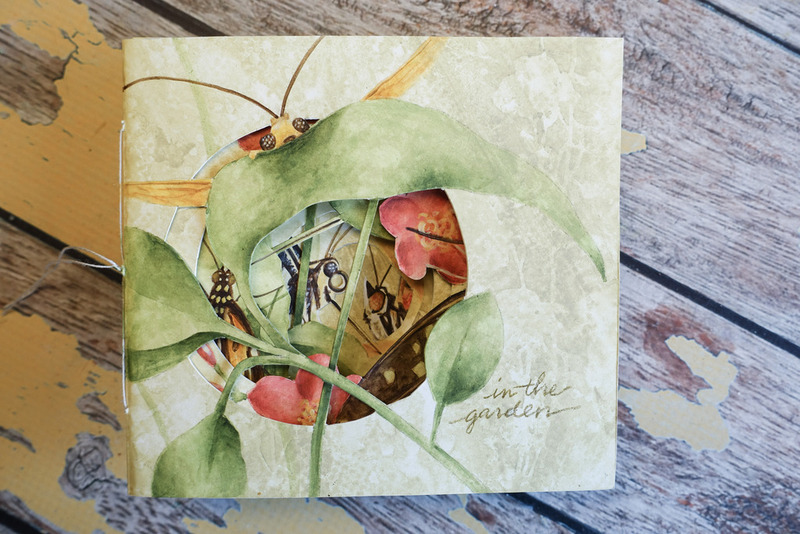 The act of bookmaking, cutting the intricate tunnels then adding the beautiful colors of the garden takes you on a beautiful adventure into the natural world of Mother Nature. Creating the book. Cutting the tunnels. 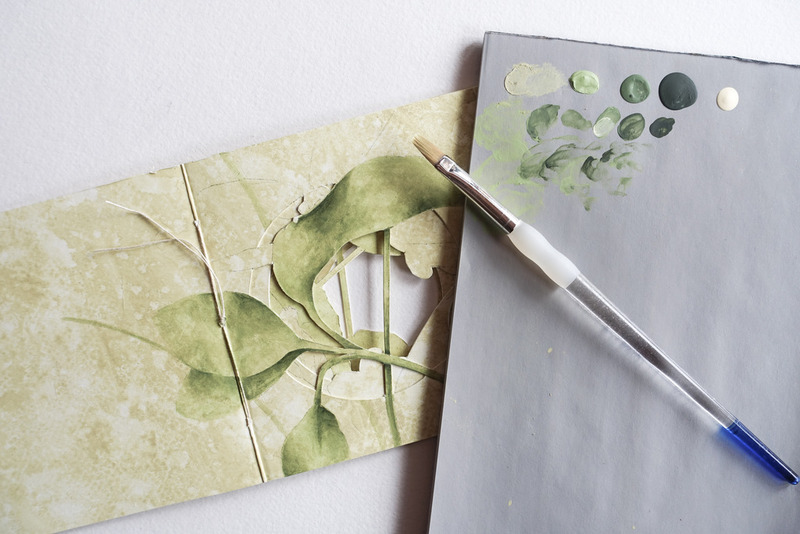 Tone-on-tone stenciling. Building soft acrylic layers with washes of color. Achieving realistic details. Aren’t you just in love with all of the layers and intricate details? 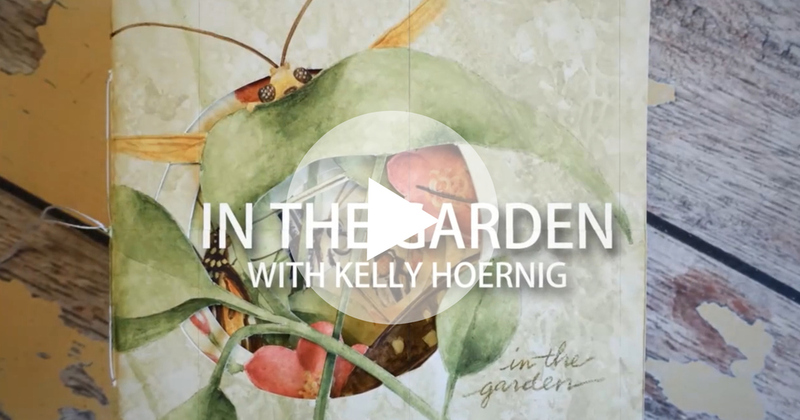 When I first saw Kelly’s work I knew I had to try to convince her to teach all of us! It is truly stunning. This one week course with 5 hours of content has lifetime* access and will begin on May 22nd. The registration price is $48. To read more or to register click HERE.